Writing a business plan may sound difficult and dull — and by “may,” we mean “definitely” — but it doesn’t have to be. Yes, we know you’re eager to dive right in on that world-changing business idea, but having your strategy on paper is critical. 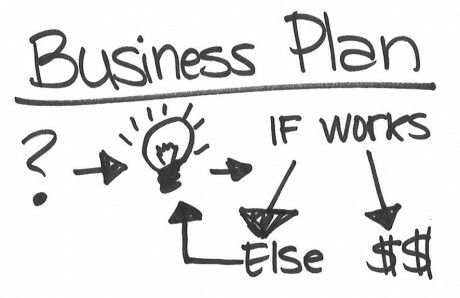 In many ways, your business plan can act as a map in an entrepreneurial landscape full of potholes, dead-ends and uphill paths. With a business plan, potential investors can clearly see what they’ll be getting into, and you’ll be better prepared to explain exactly why they should be a part of your vision. Organizing your thoughts into written paragraphs can force you to think about your goals more deeply than you otherwise would. It also makes your strategy more real; now, rather than just saying you want to raise money, you have to think about how that’s going to happen, how much you need and how you’ll use it. Writing a business plan also forces you to articulate who your target customers are and what they need, as well as how you’ll attract those customers. And this is just a small fraction of the questions you’ll have to think about. It’s a thorough process that can take some time, but we’re here to help. The links below will take you to articles filled with tips and tricks to make each section of your business plan the best it can be. Read on and learn how to turn difficult and dull into intriguing and inviting.